1. 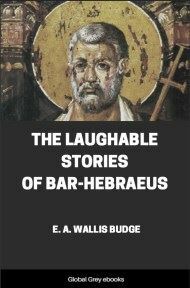 The version which was edited by the priests of the college of Annu (the On of the Bible, and the Heliopolis of the Greeks), and which was based upon a series of texts now lost, but which there is evidence to prove had passed through a series of revisions or editions as early as the period of the Vth dynasty. 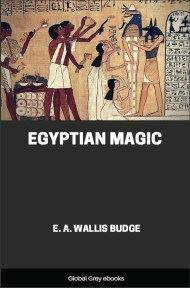 This version was, so far as we know, always written in hieroglyphics, and may be called the Heliopolitan version. 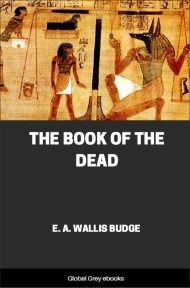 It is known from five copies which are inscribed upon the walls of the chambers and passages in the pyramids of kings of the Vth and VIth dynasties at Sakkâra; and sections of it are found inscribed upon tombs, sarcophagi, coffins, stelæ and papyri from the XIth dynasty to about A.D. 200. II. 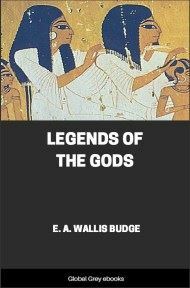 The Theban version, which was commonly written on papyri in hieroglyphics and was divided into sections or chapters, each of which had its distinct title but no definite place in the series. 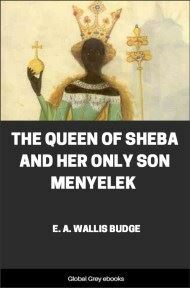 The version was much used from the XVIIIth to the XXth dynasty. IV. The so-called Saïte version, in which, at some period anterior probably to the XXVIth dynasty, the chapters were arranged in a definite order. It is commonly written in hieroglyphics and in hieratic, and it was much used from the XXVIth dynasty to the end of the Ptolemaic period. 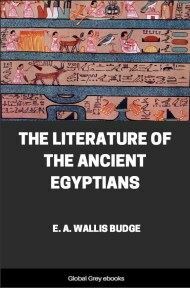 The home, origin, and early history of the collection of ancient religious texts which have descended to us are, at present, unknown, and all working theories regarding them, however strongly supported by apparently well-ascertained facts, must be carefully distinguished as theories only, so long as a single ancient necropolis in Egypt remains unexplored and its inscriptions are untranslated. 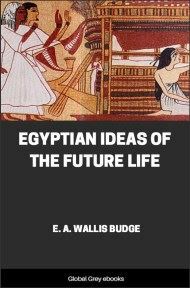 Whether they were composed by the inhabitants of Egypt, who recorded them in hieroglyphic characters, and who have left the monuments which are the only trustworthy sources of information on the subject, or whether they were brought into Egypt by the early immigrants from the Asiatic continent whence they came, or whether they represent the religious books of the Egyptians incorporated with the funeral texts of some prehistoric dwellers on the banks of the Nile, are all questions which the possible discovery of inscriptions belonging to the first dynasties of the Early Empire can alone decide.